18 Apr 2019 - Whitehaven Coal's (ASX:WHC) Winchester South metallurgical coal project has been declared a â€˜Coordinated Project', of strategic significance, by the Queensland Government's Minister for State Development, Manufacturing, Infrastructure and Planning. The project is 30km south-east of Moranbah in Queensland's Bowen Basin. 16 Apr 2019 - Cochlear (ASX:COH) gains 6% on launching implant that doesn't need to be removed before MRI scans. Citi ups Ramsay Health Care's (ASX:RHC) PT to $67 after meeting EU team, AGL (ASX:AGL) to buy rights to develop, own and operate a pumped hydro energy storage project in SA for $31m & Santos (ASX:STO) discovers significant gas resource offshore WA. 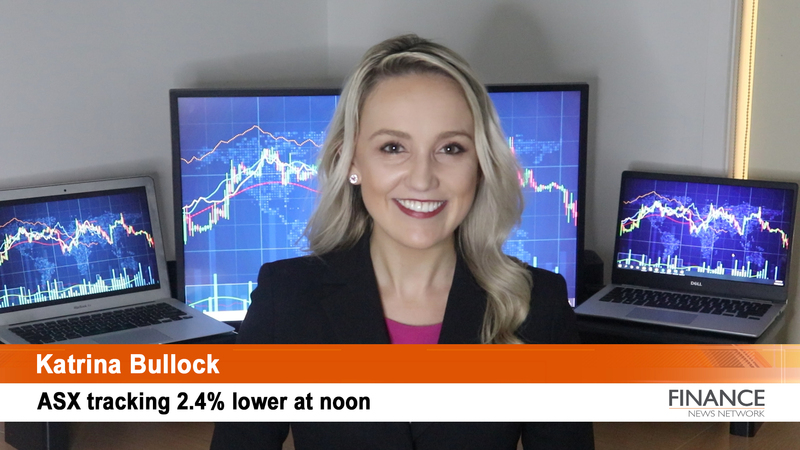 12 Apr 2019 - The Aussie market rebounded from yesterday's sell off to a new weekly high. Competition regulators were hard at work with the ACCC instituting proceedings against iSelect (ASX: ISU) and Spark New Zealand (ASX:SPK) copping a penalty of NZ$675,000 for operational and billing breaches. 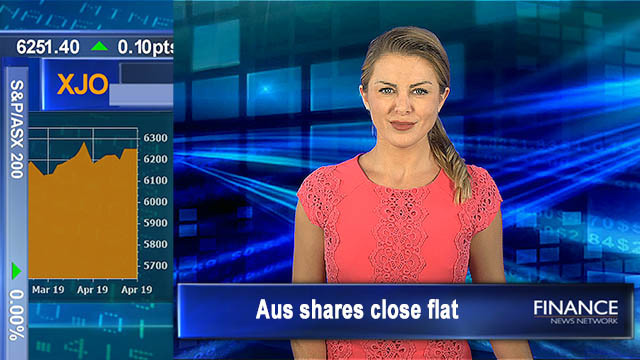 12 Apr 2019 - ASX opens higher and gains momentum despite mostly flat US equity leads. 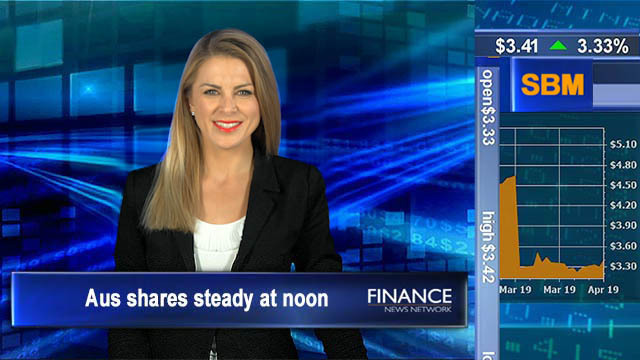 Orocobre (ASX:ORE) and Toyota Tsusho Corporation's JV lithium hydroxide plant approved to be built in Japan, FIRB approved BGH's Navitas (ASX:NVT) takeover, and Bravura (ASX:BVS) proposes to buy fellow fintech, GBST (ASX:GBT) for $169.8 million. Click for more. 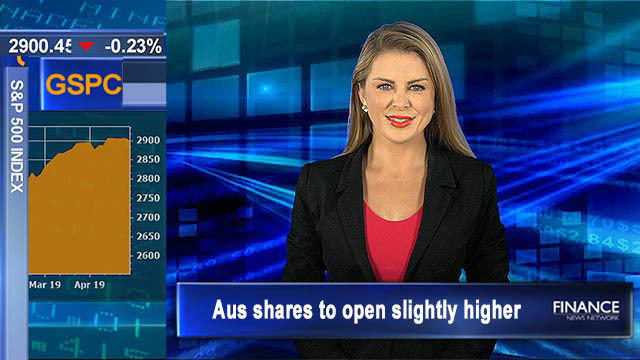 12 Apr 2019 - The Australian share market looks set to defy negative leads from the US and open higher. The British pound is down following a six month extension to the Brexit negotiations. Ramsay Health Care's (ASX:RHC) French subsidiary, Ramsay GÃ©nÃ©rale de SantÃ© has completed a â‚¬625 million renounceable rights issue. 11 Apr 2019 - The ASX unwound its 3 days of gains. After opening above the line it lost ground over the morning and despite a midsession surge, it didn't manage to claw its way back to positive territory. Lithium company Lepidico (ASX:LPD) increased its global mineral resource estimate for its mining project in Portugal by 290 per cent. 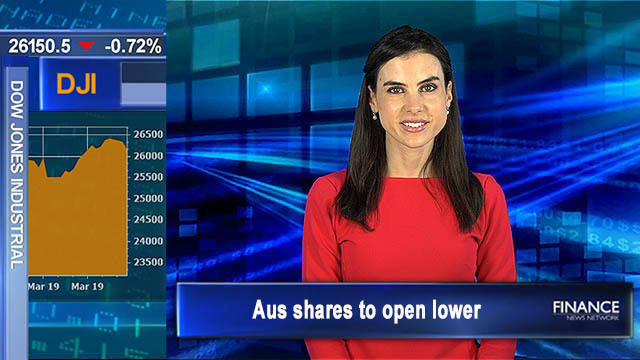 11 Apr 2019 - The Australian share market opened higher and is 0.6% lower at noon. Healthcare, Materials and Financials have been the worst performing sectors this morning. 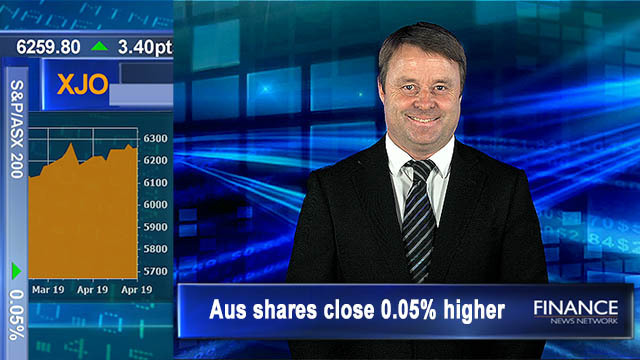 Plato Income Maximiser (ASX:PL8) delivered a return of 16.2%. 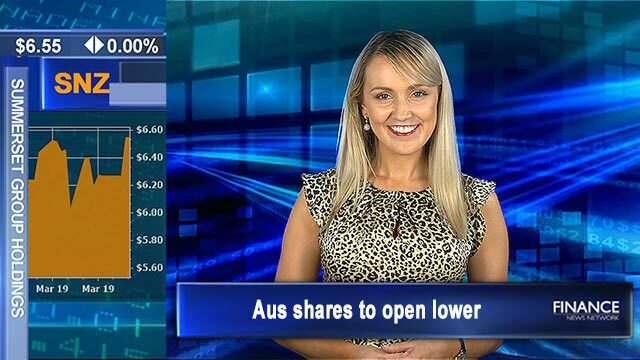 11 Apr 2019 - The Australian share market is poised to open lower this morning. Oil has increased 55 cents and gold is up $3.70. Meantime there is growing speculation that Australia's Prime Minister Scott Morrison will call the Federal Election today and Virtus Health (ASX:VRT) has penned a US$6 million deal in relation to its artificial intelligence technology. 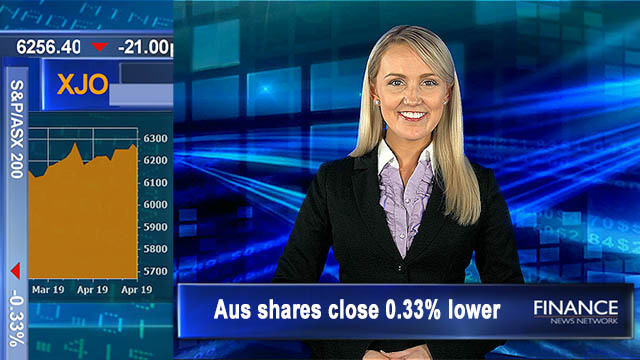 10 Apr 2019 - ASX closes higher for 3rd day. 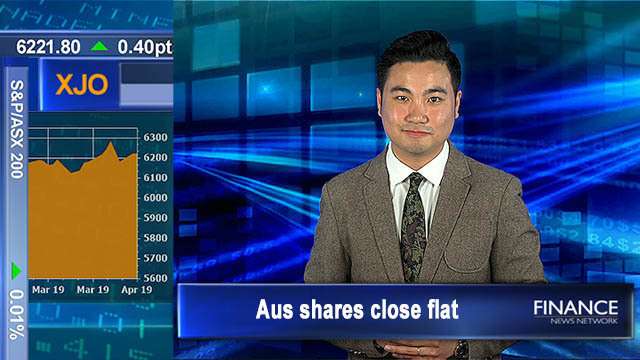 Fidelity reduces stake in Independence Group (ASX:IGO), Seven West Media (ASX:SWM) completes $20.8m sale of 50% of Yahoo7, Wynn scraps Crown Resorts (ASX:CWN) takeover talks, Sims Metal Management (ASX:SGM) unveils plans for waste-to-energy conversion & IFL's Bridges to buy Bendigo's (ASX:BEN)) FP book. 10 Apr 2019 - St Barbara (ASX:SBM) is set to buy the Green Dam Nickel/Gold Project in Western Australia for $700,000 cash from Element 25 (ASX:E25). Buddy Technologies (ASX:BUD) expands US presence. 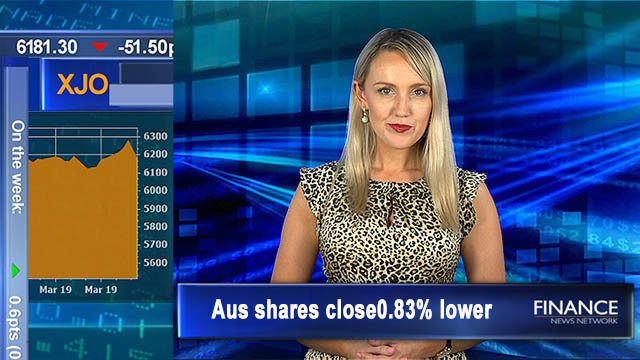 Seven West Media (ASX:SWM) shares gain 6% on completing $20.8m sale of Yahoo7. Click for more. 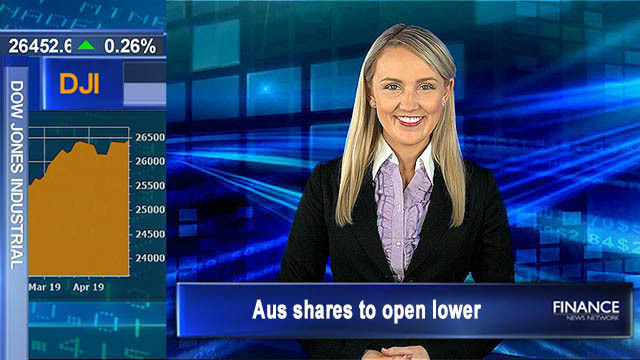 10 Apr 2019 - Australian shares are set to open lower following negative leads from Wall Street. Las Vegas Casino Giant Wynn has scrapped discussions over a potential $10 billion takeover offer for Crown Resorts (ASX:CWN). 09 Apr 2019 - The local share market fluctuated between positive and negative territories today. 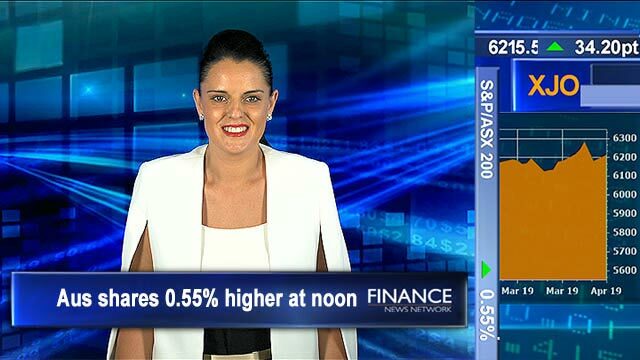 Crown Resorts (ASX:CWN) was the day's star performer, rising 20 per cent. 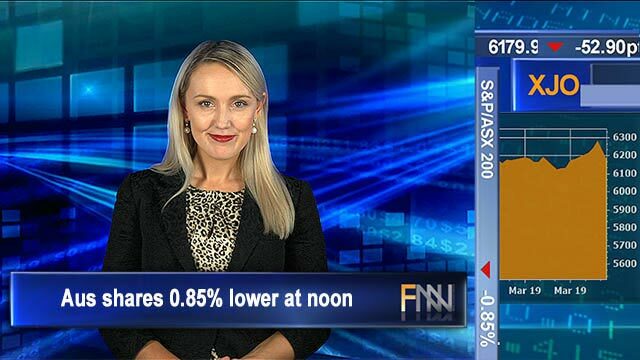 The major miners posted a strong performance led by BHP (ASX:BHP), Rio (ASX:RIO) and Fortescue (ASX:FMG), on the back of the iron ore price trading near five-year highs. 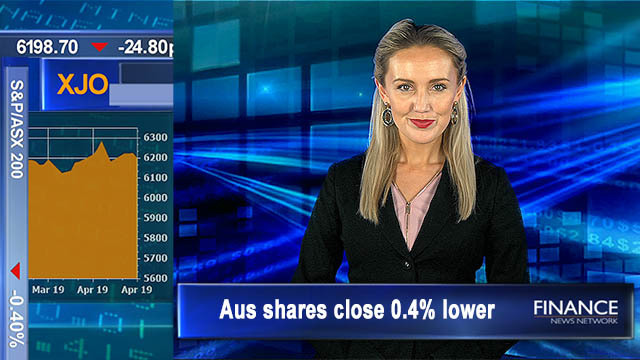 09 Apr 2019 - The Australian share market opened 6 points lower following a mixed session in the US overnight and is now down 3 points at noon. Crown Resorts (ASX:CWN) has confirmed they are in takeover talks with Las Vegas giant, Wynn Resorts. 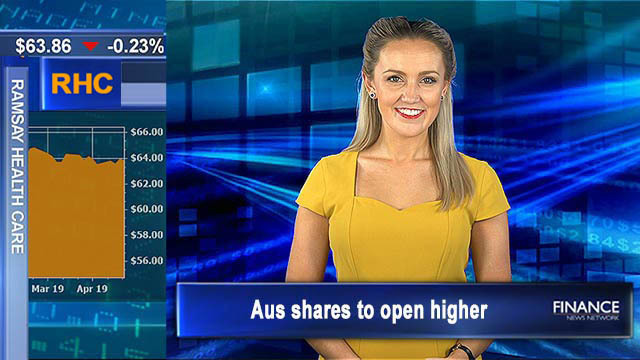 09 Apr 2019 - Australian shares look set to edge higher at the open despite a mixed session in the US on Monday. 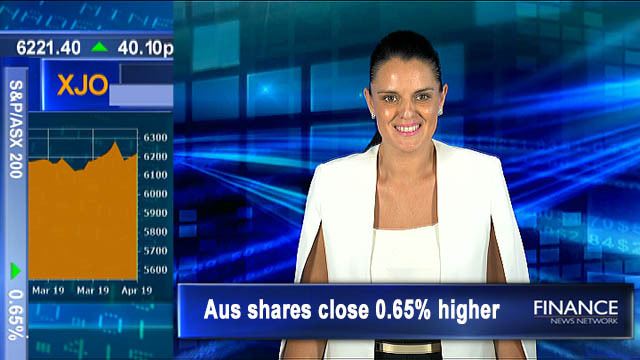 IPH (ASX:IPH) has upped its bid for takeover target Xenith IP Group. The new IPH offer is a combination of cash and IPH shares valued at $2.15 per Xenith share. 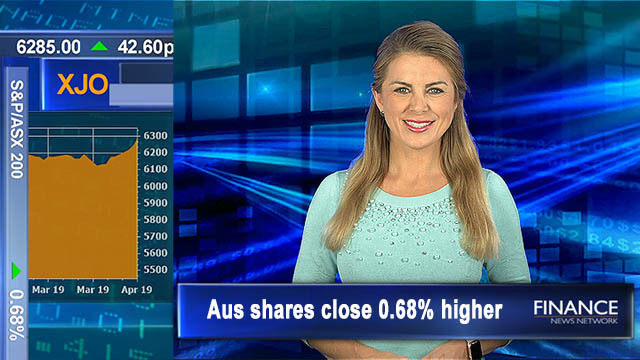 08 Apr 2019 - It has been a positive day of trade for the Australian share market. 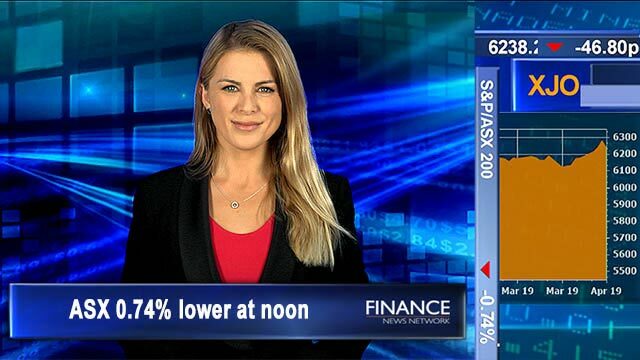 After opening in the black, the local bourse maintained momentum tracking sideways before closing 0.7 per cent higher. Financials saw the most selling today, falling 0.3 per cent; with Platinum Asset Management shares (ASX:PTM) falling 4.1 per cent. 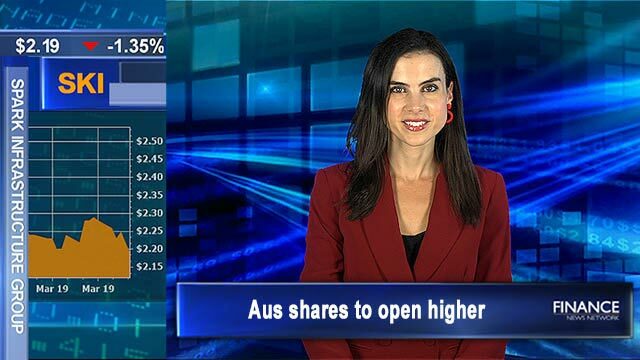 08 Apr 2019 - The Australian share market opened higher and is maintaining momentum. Sims Metals Management (ASX:SGM) has announced it will â€˜likely see (its) dividend payout ratio fall', while paying fully franked dividends. A strategic alliance project with AusQuest (ASX:AOD) and BHP's (ASX:BHP) spin off company South32 (ASX:S32) has kicked off copper drilling at Yallum Hill in Western Australia. 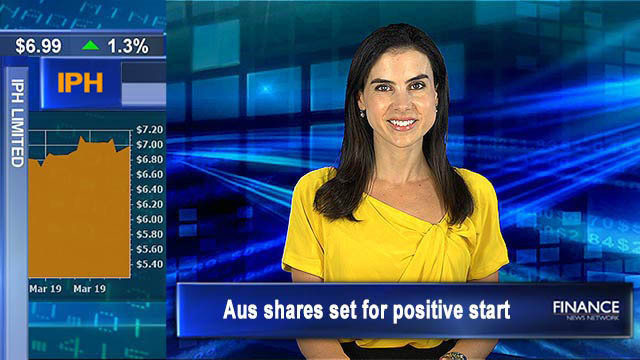 08 Apr 2019 - Australian shares are set to start the week on a positive note following gains on Wall Street on Friday. Spark Infrastructure (ASX:SKI) has announced that SA Power Networks, has undertaken a number of notes placements with the total proceeds raised about A$646 million. 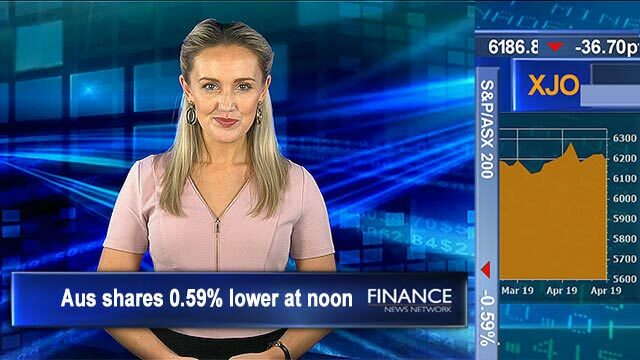 05 Apr 2019 - The ASX200 opened higher and lost ground throughout the day to finish 0.8% lower. Over the week however the market closed flat. Ardent Leisure Group (ASX:ALG) has completed its US$200 million term loan facility. Orocobre (ASX:ORE) are set to undertake a pre-feasibility study on the Cauchari joint venture project. 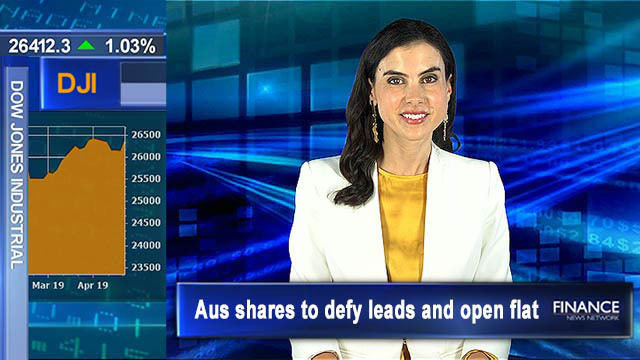 05 Apr 2019 - The Australian share market opened marginally higher following mixed leads from Wall Street but has lost ground throughout the morning and is 0.9 per cent lower at noon. We are seeing a sea of red in the sectors with Info Tech and Healthcare weighing heaviest on the market. Oil continues to fall following news that Libya's eastern military commander Khalifa Haftar has ordered his forces to march into Tripoli to secure Libya's oil fields. Despite early gains in the week, the effects of the federal budget have been seen over the past two days as the ASX200 slides. 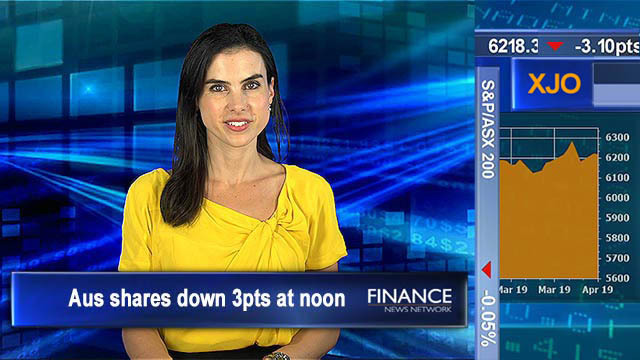 Domino's Pizza Enterprises (ASX:DMP) share price is bearish in response to its announcement that a new range of offerings will be launched for its Japanese market. 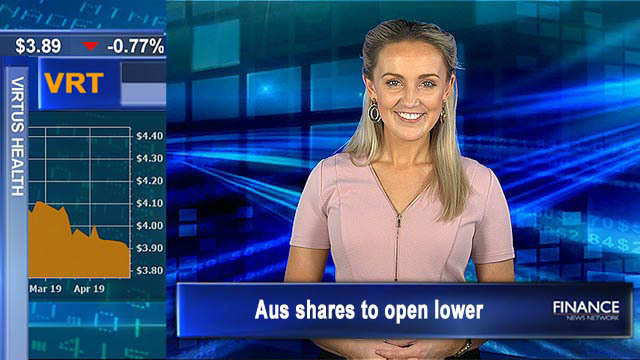 05 Apr 2019 - Australian shares are poised to open lower this morning following mixed leads from Wall Street. Tensions around the US/China trade deal continue as President Donald Trump meets with China's Vice Premier in Washington. The S&P500 continues its rally. Gold has gained $1.10. Oil however has retreated following news that Libya is on the precipice of an oil war. Libya's eastern military commander Khalifa Haftar has ordered his forces to march into Tripoli to secure Libya's oil fields. 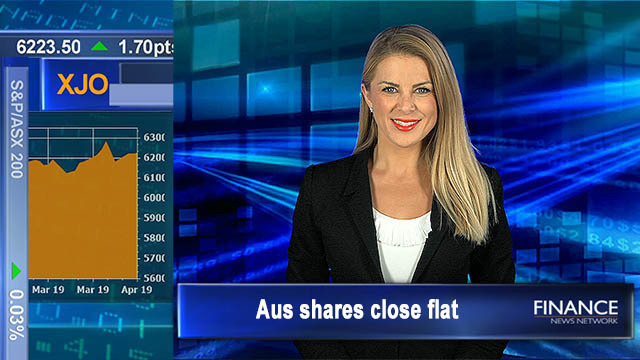 04 Apr 2019 - ASX wipes out yesterday's gains after gaining for the prior 7 trading sessions. Animoca Brands (ASX:AB1) to buy a German sports game creator, Syrah Resources (ASX:SYR) 1Q2019 results broadly consistent with the prior quarter and volumes at upper end of guidance. Click for more. 04 Apr 2019 - The Australian share market opened lower today and has continued to fall despite Wall Street leads. 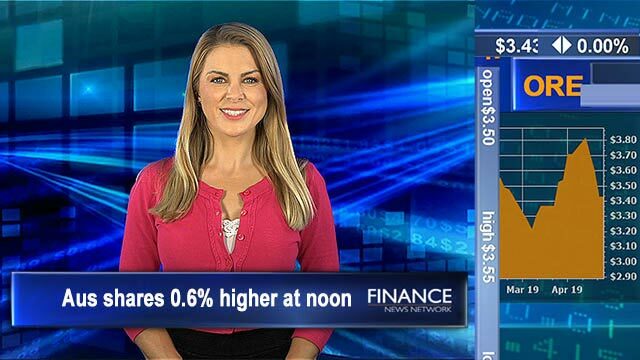 Syrah Resources (ASX:SYR) shares hit a month high after Q1FY19 sales volumes came in at upper end of guidance and Service Stream (ASX:SSM) is set to benefit on increasing maintenance works being outsourced. Click for more. 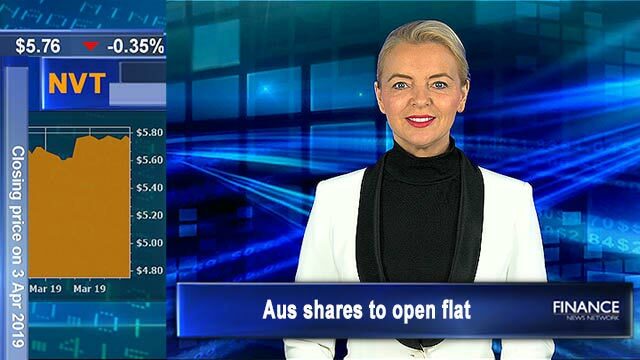 04 Apr 2019 - The ASX is poised to open flat this morning after hitting a 7-month high yesterday. US stocks saw a late rally to close at almost an 6-month high as optimism over global growth renewed. According to reports this week American and Chinese have resolved most of the outstanding issues regarding the trade deal. And Navitas (ASX:NVT) will say goodbye to their company secretary Hugh Hangchi next month after his resignation. 03 Apr 2019 - Mining (Materials) sector inks new 8-year high on iron ore price rally amid Vale's production drop for CY19. 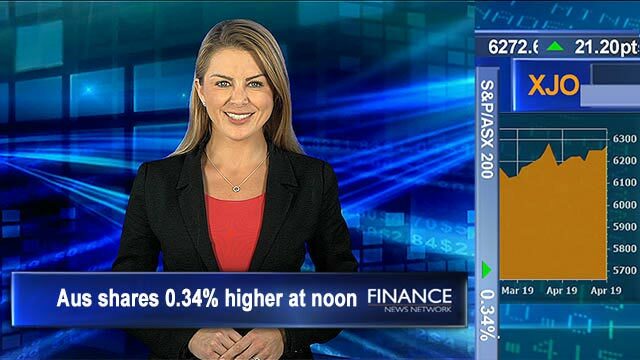 Syrah Resources (ASX:SYR) shares hit 4-week high on a fund manager investing. 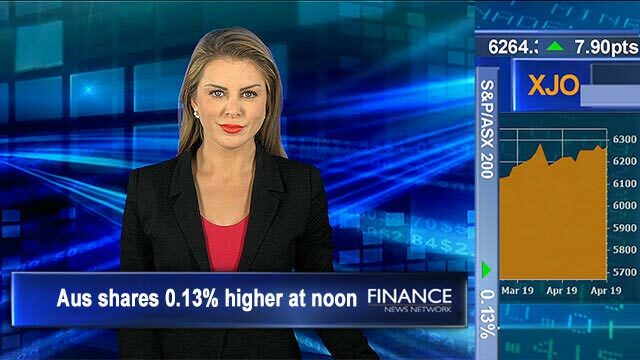 Aus retail trade surges 0.8%, beating expectations. Fed Govt Budget highlights revenue to grow to $514b in 19/20, a rise of 4% and expenses to be $501b, a rise of 3%. Click for more.